The Journalists Union of Turkey (TGS) in partnership with the European and International Federation of Journalists (EFJ-IFJ) successfully organised a 2-day Safety Workshop in Diyarbakir (Southeast of Turkey) on 03-04 October 2017 for local and visiting journalists regularly covering conflict zones in the region. This workshop was organised in the framework of the IFJ-EFJ-TGS project called #GazetecilikSuçDegildir / #JournalismisNOTaCrime, a campaign to set journalism free, develop trade union rights and defend freedom of expression in Turkey which receives the financial support of the European Instrument for Democracy and Human Rights (EIDHR) Program managed by the European Commission. 30 journalists and media workers from the following media organisations attended the safety workshop : Cumhuriyet, AFP, Reuters, Sputnik, Özgürüz, Tigris, Güneydogu Ekspres, Yenigün, Evrensel, Arti Gerçek, Mezopotamya Haber Ajansi, Sujin, Jinha and Güncel newspaper. 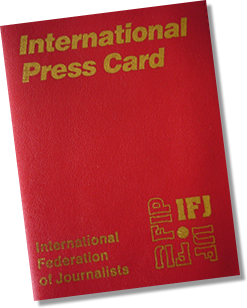 “This is the first training organised by our union to tackle safety issues and post-trauma of journalists covering conflict zones and we intend to organise more of them. When journalists do not have safe working conditions, the public is also deprived from its right to have access to fact-based information. 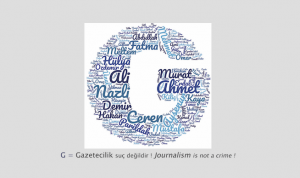 When we serve the public good, we should make safety concerns a top priority because covering news is only possible with living journalists”, said Gökhan Durmuş (TGS President). 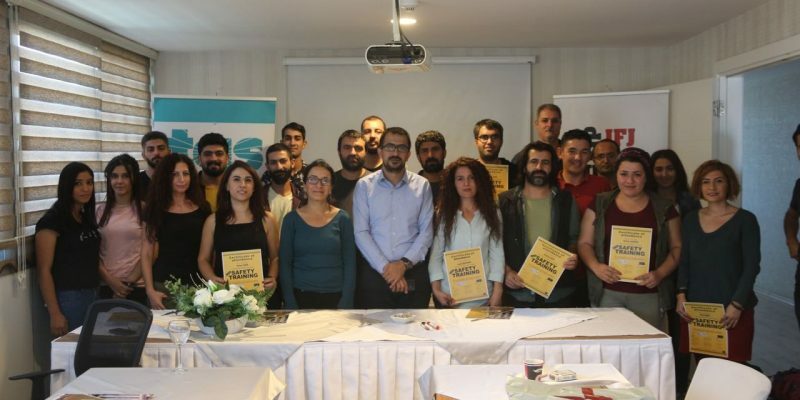 The participants were trained on personal security, managing high risk environments, digital security, and post-traumatic stress disorder by three specialised trainers based in Istanbul selected by the newly opened TGS Diyarbakir solidarity office. “We aim to unite journalists and media workers in the region in order to underline the importance of risk management, safety and post-trauma issues in the profession”, said Mahmut Oral from TGS Diyarbakir office. 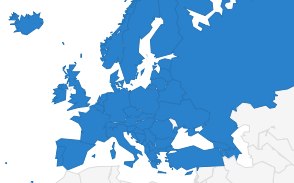 “Too many journalists ignore risks on the grounds that these risks are faced by everyone, and ignore simple measures that can be taken to significantly improve the safety of the media. 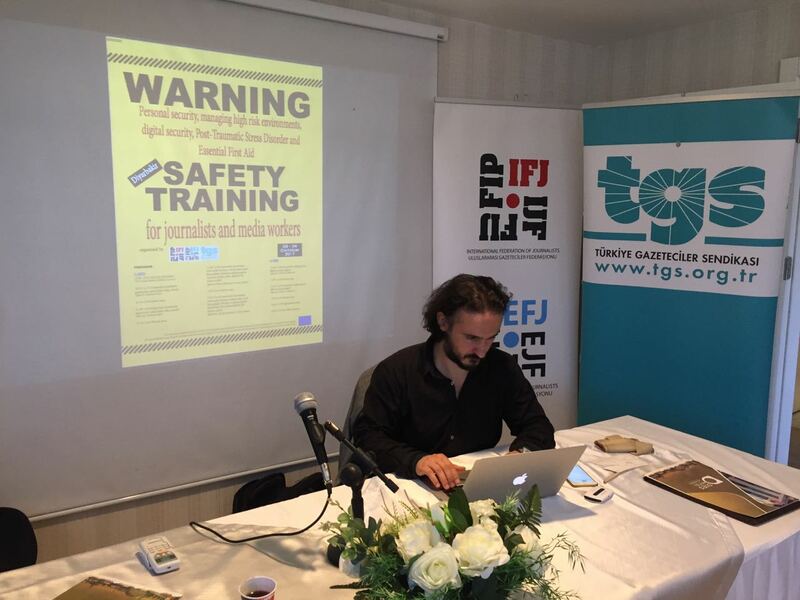 This action will improve the safety of journalists and raise awareness on the working conditions for reporters in conflict zones”, said Mehmet Koksal (EFJ-IFJ project coordinator). Following the trainings, the participants received a certificate of attendance and TGS Diyarbakir office will select local safety contact members to answer safety questions from local or international journalists on assignment in the region. These safety advisors will work with the office to co-ordinate the monitoring and advising of media and journalists on safety and responding rapidly and effectively to incidents as they arise.